Oh how I love the site of overripe bananas! Overripe bananas taste amazing in smoothies, or this “milkshake”. I also love them in any kind of baked good. 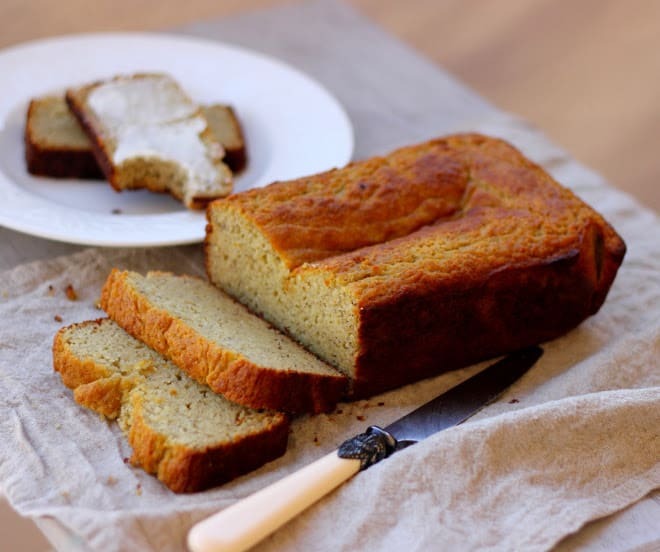 Now with this delicious grain-free banana bread, I’m sure we will be buying bananas by the bundle, just waiting for them to get dark spots. Tip: If you have bananas that are overripe and you don’t have time to make banana bread, you can mash them up, then freeze for later. Just defrost before using and they will bake up beautifully! This banana bread is everything banana bread should be. It is lightly sweet and moist. It is also packed with protein from all the eggs and coconut flour. 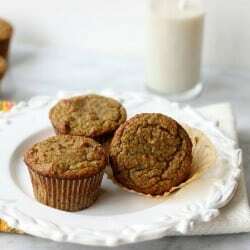 It makes a delicious breakfast or snack! My 2-year-old asks for “nana cake?” all the time. I’m happy he thinks it is good enough to be considered cake. Another great thing about banana bread is you can mix in a lot of different things to spice it up. I personally love the chocolate chip/walnut combination. This is another one of those recipes that tastes so good, people are honestly shocked is both gluten and grain-free. I haven't tried freezing it so I'm not sure! Such a fab recipe… I cooked the mix in four large ramekins and they came out perfectly puffed and so delicious! Thank you! Just made this, added frozen blueberries and pecans. Fabulous! 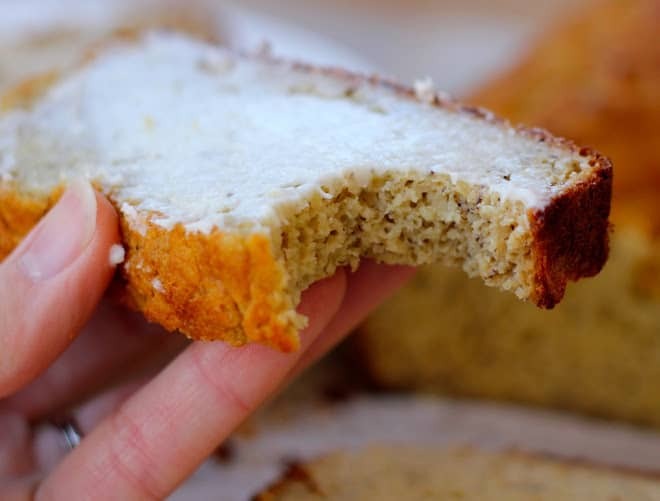 I was googling for a paleo bread recipe for this weekend and stumbled on this one–so happy that I did! I made two loaves, and the texture is fantastic for grain free bread. Puffed up really nicely, too 🙂 Thank you! So glad it turned out for you! This is so delicious! Thank you! I’m glad it ended up turning out for you! The ripeness of your bananas can contribute to the sweetness of the bread as well. Very brown, ripe bananas will make a sweeter loaf as well! I just made this for “dessert” and also to pack for my breakfasts this week. It was really good. I didn’t have any coconut flour so I used garbanzo bean flour instead. Also, I used applesauce instead of honey and a pinch of stevia. It was really good, and just sweet enough– even with no sugar. My only thing next time will be to decrease the liquid. In fact, with the applesauce, I may use no coconut milk at all because it’s a bit more moist than I would prefer. IS Canned coconut milk Okay to use for this recipe? . Yes! In fact, all I use is canned coconut milk. The refrigerated kind has a lot of additives. I was wondering if you know how many calories a slice of this bread is? I put the ingredients into MyFitnessPal as a recipe and for a 1/12 serve, it has 209 calories… that’s using 20g pure coconut milk powder and 1/3C water, instead of the tinned milk. If you use light coconut milk (from tin) it has 203 calories. If you use normal coconut milk (from tin) it has 209 calories. This looks yumm! I will make it this weekend. Can I use less honey, and part of it use some coconut sugar? Or will this lead to being less moist? And can I use an electric hand mixer in stead of a food processor? 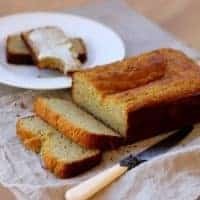 I’ve tried about 8 different Paleo banana bread recipes and this one is my favourite, it’s light but so filling at the same time, and lovely and moist. I like to add blueberries to it; it makes a great on-the-go breakfast! Thanks! Tastes So Good…. followed recipe exactly as written and used 1/2 cup chocolate chips with 1/2 cup of coconut – Delicious- I did use 4 large Ramekins as suggested by another reviewer- worked like a charm-Also resisted the temptation to eat before completely cooled. Love This Recipe- Love this Site! I am very allergic to coconut. I am allergic to cow’s milk. I also am extremely allergic to wheat. What can I use to replace all the coconut ingredients? Hi I have tried this twice now and it’s amazing and so moist. both times have found it is a little too moist in some parts especially along bottom of bread…anyone else have the same problem or know best way to try and avoid it? If I bake for longer it goes too cooked and hardens a bit on the top. we have the same issue! Were you able to find a solution? Hi, I’m not sure if I’ll get a response but I wanna post my question anyway. I made this recipe twice already and we love it! 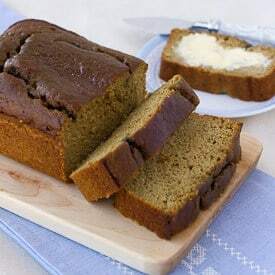 however, my banana bread is darker than the picture shown on this recipe and the bottom part is wet almost like a jelly texture. Some of the factors that I think might be the reason is I use dark pan/bowl to bake, my coconut flour is not one of those fine/powder type coconut flour (its the finely shredded one that still has texture) and my coconut oil is one of those white ones that I have to melt and if my egg is still cold it becomes solid white so I use room temp egg. Hope you guys can help me.